There has been some controversy over the activity of adding synthetic fluoride to municipal water supplies and elsewhere, but not enough. The seriousness of this issue is more than what most realize. Fluoridation ranks with GMO's and tainted, forced vaccinations among the great crimes against humanity. There are two types of fluoride. Calcium Fluoride, which appears naturally in underground water supplies, is relatively benign. However, too much consumed daily can lead to bone or dental problems. Calcium is used to counter fluoride poisoning when it occurs. This redeeming factor indicates that the calcium in naturally formed calcium fluoride neutralizes much of fluoride's toxic effects. On the other hand, the type of fluorides added to water supplies and other beverages and foods are waste products of the nuclear, aluminum, and now mostly the phosphate (fertilizer) industries. For this article, the term Sodium Fluoride will include all three types. Sodium fluoride is used for rat poison and as a pesticide. Generally, most fluoride entering the body is not easily eliminated. It tends to accumulate in the body's bones and teeth. Recently, it has been discovered to accumulate even more in the pineal gland, located in the middle of the brain. The flood of sodium fluoride in water and food also creates other more serious health problems that are not widely publicized, even suppressed. 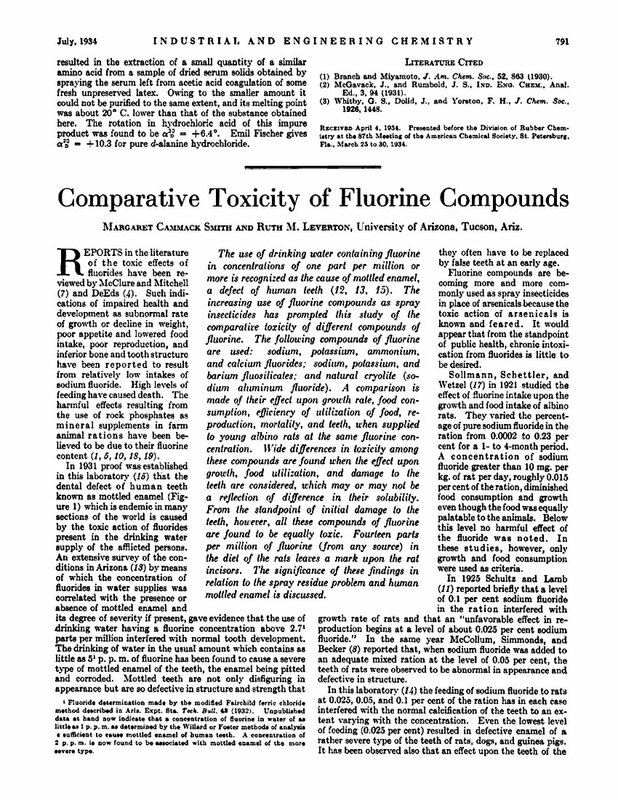 Fluoride was necessary for the processing or enriching of uranium. The pro-fluoride propaganda was started during the Manhattan Project to create the first atom bombs in the 1940's. The spin was to convince workers and locals where the largest nuclear plant was located in Tennessee that fluoride was not only safe, it was good for kids' dental health. In the early 1950's, the notorious spin master and father of advertising, Edward Bernays, continued the campaign for adding fluorides to water supplies as an experiment in engineering human consent! Then the AMA picked up on the dental issue and endorsed sodium fluoride's addition to water supplies. The few dissenting health studies and reports were usually squashed. Those dissenting voices were dismissed as quacks regardless of their credentials. Approximately 2/3 of the USA water supply is laced with sodium fluoride. Sodium fluoride is a common pesticide. So that residue is in some foods. Some sodas, packaged orange juices, and even bottled drinking water for babies contain fluoride additives. Buyer beware. Read your labels carefully. Keep in mind that boiling only increases the concentration of fluoride to water more. But removing fluoride from tap water is not so difficult. Reverse osmosis works well for removing fluorides. If you own your home and can spring for the bucks, you can have one installed under the sink in your kitchen. That makes things very convenient for your fluoride removal from tap water. If this is not your situation, grab a couple of large jugs and fill them up from reverse osmosis machines in health food stores, supermarkets, and other locations. There are several such machines around, usually labeled as using reverse osmosis, and they usually take coins. So it is the most accessible and cheapest way to go if you can't install one where you live. During the late 1990's in England, a scientist by the name of Jennifer Luke undertook the first study the effects of sodium fluoride on the pineal gland. She determined that the pineal gland, located in the middle of the brain, was a target for fluoride. The pineal gland simply absorbed more fluoride than any other physical matter in the body, even bones. Because of the pineal gland's importance to the endocrine system, her conclusions were a breakthrough. 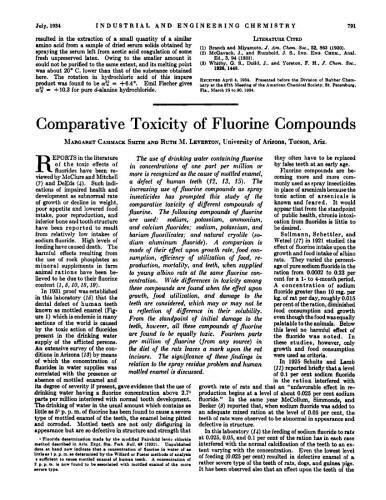 Her study provided the missing link to a lot of physiological damage from sodium fluoride that had been hypothesized but not positively connected. A veritable root source for the chain reaction of blocked endocrine activity had been isolated. Good news though. Frequent exposure to outdoor sunshine, 20 minutes or so at a time, will help stimulate a fluoride calcified pineal gland. Just make sure you take off your hat. This is more important than most realize, because the pineal gland affects so much other enzyme and endocrine activity, including melatonin production. First a bit about 2012, a date many have heard about. "Anthropologists visit the temple sites and read the inscriptions... but they do not read the signs correctly... Other people write about prophecy in the name of the Maya. They say that the world will end in December 2012. The Mayan elders are angry with this. The world will not end. It will be transformed." Carlos Barrios goes on to say that the transformation will be both spiritual and physical. The transition started in 1987. He says that we are in a spiritual transition from the rule of materialism, greed, and enmity to a new period of cooperation and peace - but not without difficulty. The current oligarchy is happy with what they have and don't want to give it up, and they are powerful. Carlos points out that adversarial revolution against the ruling class will not work. It is up to those who want this shift to connect with others of like mind and begin actively creating networks of real cooperation. The old will crumble. The new period will dawn with its growing pains, the severity of which depends on our ability to accept what is happening and go with the flow. This, he says, requires evolving to unconditional love, with an open and simple heart, forgiveness, and cooperation with less ego competition. Well, what does all this have to do with the pineal gland? A lot. It is considered a portal to the inner or higher self by yogi masters, including Paramahansa Yogananda, author of Autobiography of a Yogi. Psychics consider it to be the link for inter dimensional experiences. And it is vital for supporting intuition, an ability that will be needed during hard times. So it is necessary to evolve spiritually in order to help create better understanding, acceptance of our fellow humans, and easier group cooperation. Meditation is a part of this evolving. An unusual psychiatrist, professor of medicine at University of New Mexico, and practicing Buddhist, Dr. Rick Strassman, MD, has written a book based on actual human studies of people under the psychedelic drug, DMT, titled DMT - The Spirit Molecule. He has discovered, among other things, that the pineal gland is a source of DMT production during birth and at death, and during near death or mystical experiences. This chemical approach corroborates the idea of the pineal gland as a portal, where the spirit passes through to other dimensions, either entering this physical realm or leaving it. South American and Central American shamans use Ayahuasca, an herbal potion that stimulates DMT for psychological healing and spiritual initiation ceremonies. They have expanded their ceremonies with Ayahuasca by traveling throughout the world or opening their local facilities to non natives. They are doing this urgently in anticipation of 2012. Their desire is to jump start and expand individuals' consciousness so the transition of consciousness will be facilitated and incorporate as many as possible. This information is meant to link the physical realm's pineal gland to higher states of awareness and other realms. The point is not to advocate or discourage psychedelic drug use, but to encourage health, meditation and spiritual growth by maintaining a fluoride free pineal gland. 2012 is approaching. Article by Ingrid Nairman highlighting Mayan lecture in Santa Fe, NM by Carlos Barrios http://ingridnaiman.com/subscription_lists/email_index.html.